Geomagic Control X is the industry’s leading inspection software package providing the most powerful tools within straightforward workflows. This software provides any inspection department with easy-to-use, intuitive, comprehensive controls and traceable, repeatable workflows for the quality measurement process. This is further enhanced by the option of automated repeat inspections as well as the fact that the inspection process can be set up prior to scanning for guided inspections. Its fast, precise, information-rich reporting and analysis enable significant productivity and quality gains in any manufacturing workflow. 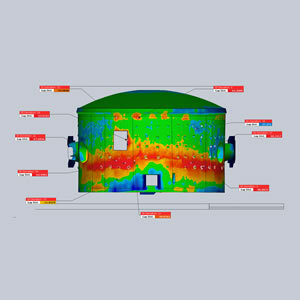 OR3D offer 3D inspection services using this software. Supports all industry standard non-contact and optical scanners, as well as a wide range of portable probing and tactile devices. One can import all major CAD file formats including Catia, NX, Creo, Pro/Engineer, Solidworks, Solid Edge, Autodesk Inventor, and more, as well as PMI and GD&T data. All CAD importers are delivered at no additional cost. 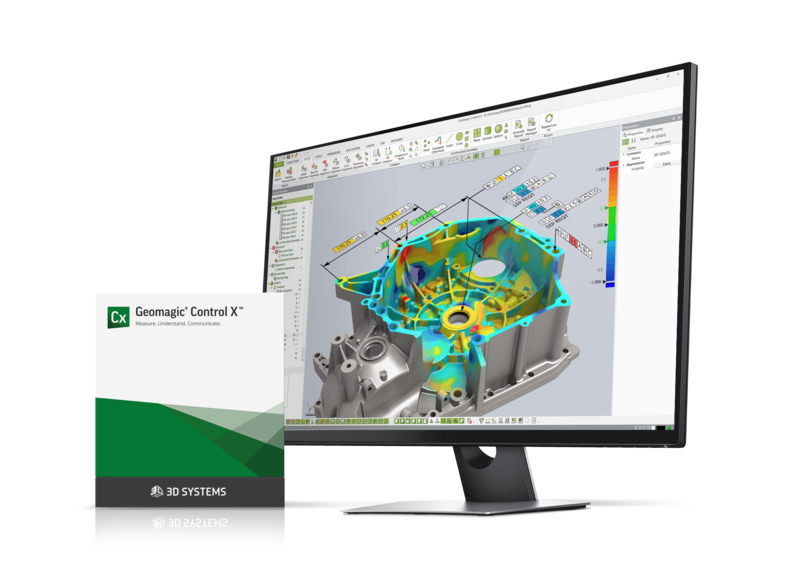 Geomagic Control X features an entirely refreshed user interface that helps everyone easily and accurately measure and analyse parts, no matter the application. Using the entire range of feature-rich options reports are created easily and quickly. Geomagic Control X delivers easy-to-use and understandable workflows that enable walk-up probing alongside pre-planned probing for fast generation of results every time. Geomagic Control X combines the freedom of fast, accurate unordered inspection which is then automatically saved as editable, history-based inspection trees for repeatable inspections. Easily expand inspections to product assemblies with a full range of measurement, tolerance stacking and other analysis tools. 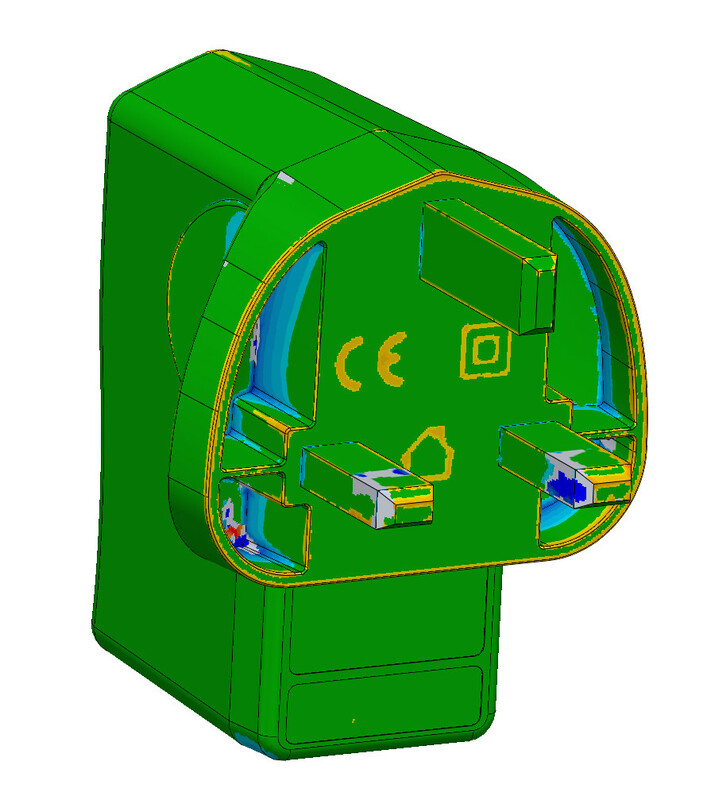 Intuitive dimensioning based on CAD features delivers increased efficiency while advanced PMI and GD&T support builds comprehension of the results for all. 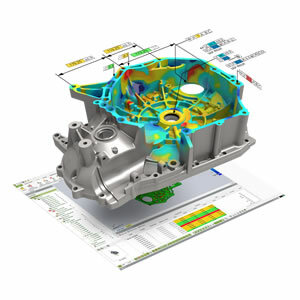 Simultaneous multiple results and mating parts analysis enable faster comparison, analysis and understanding of root causes of production issues being experienced. Report definition in Geomagic Control X is highly flexible, making customisation to each manager’s needs fast and simple. 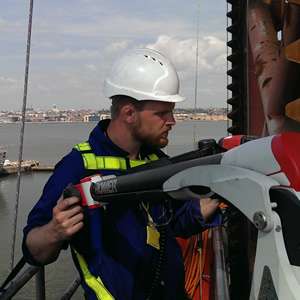 Build repeatability and reliability into your inspection processes with LiveInspect. 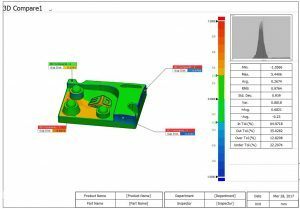 Pre-plan your inspection processes and reporting for portable CMMs, and execute them at a later date, again, and again. For scan-enabled portable CMM’s effortlessly switch between probing and scanning with a click of a button. The report below gives a basic example of an inspection in Geomagic Control X. If you have any questions or would like a demonstration of Geomagic Control X then please contact us.